Euro continues falling down without forming any serious corrections. 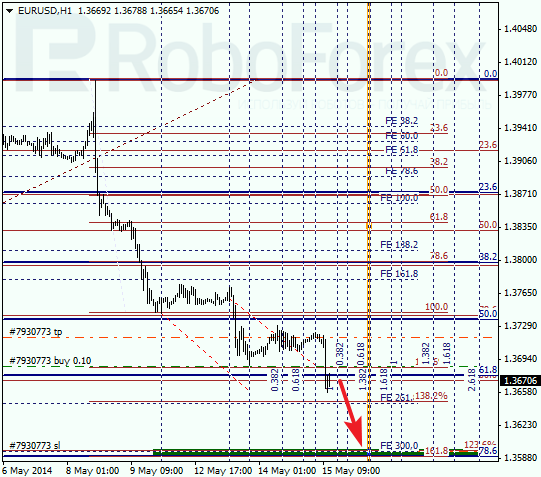 Now main target is the group of lower fibo levels at 1.3595 – 1.3585. If later price rebounds from this target area, pair may start new correction. 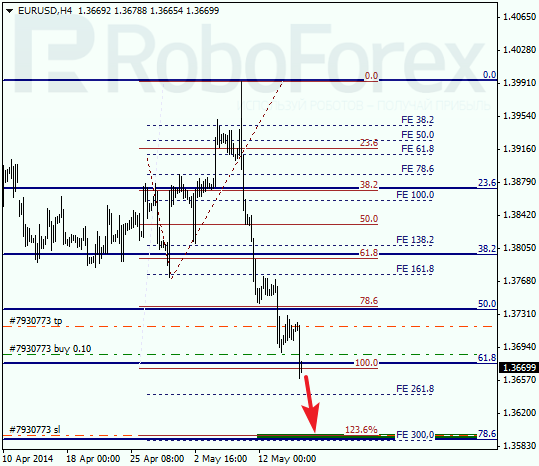 As we can see at H1 chart, lower targets are confirmed by several fibo levels. According to analysis of temporary fibo-zones, predicted targets may be reached by the end of this week. Yesterday, Franc broke maximum. Most likely, in the nearest future pair will continue growing up towards the group of upper fibo levels at 0.8975 – 0.8995. If later price rebounds from these levels, bears may start new correction. 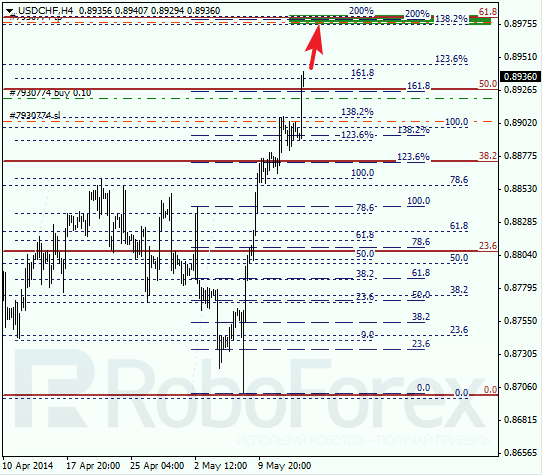 As we can see at H1 chart, current target area is confirmed by additional fibo levels. According to analysis of temporary fibo-zones, bulls may reach their predicted targets by Friday. During local correction, I opened short-term buy order with tight stop.